St. ROSE OF LIMA, VIRGIN. 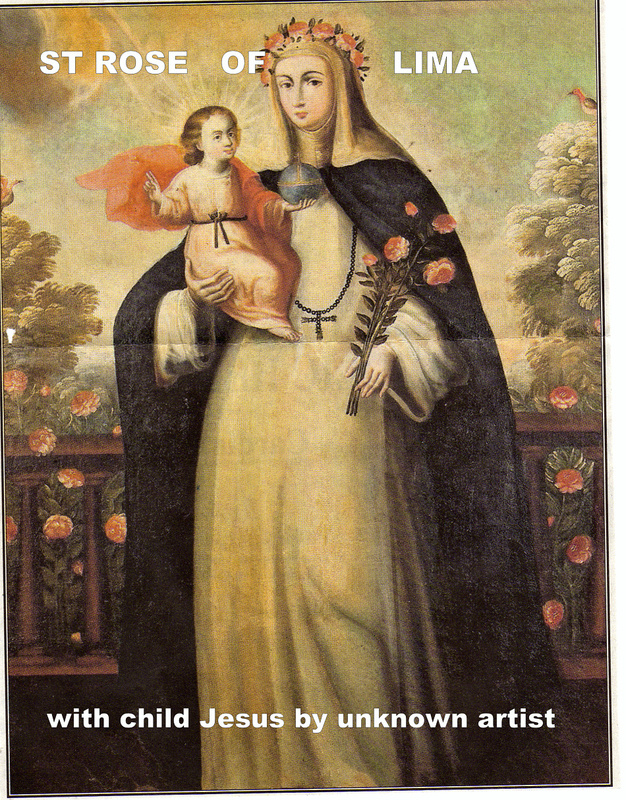 St. Rose of Lima, Virgin. Born of a Spanish family at Lima in Peru in 1586; Rose entered the Third Order of St. Dominic. She lived a life of penance and of contemplation, offering herself for the salvation of Indian people.